It’s that time of year again when a month has gone by and you’re nearing the end of the year! 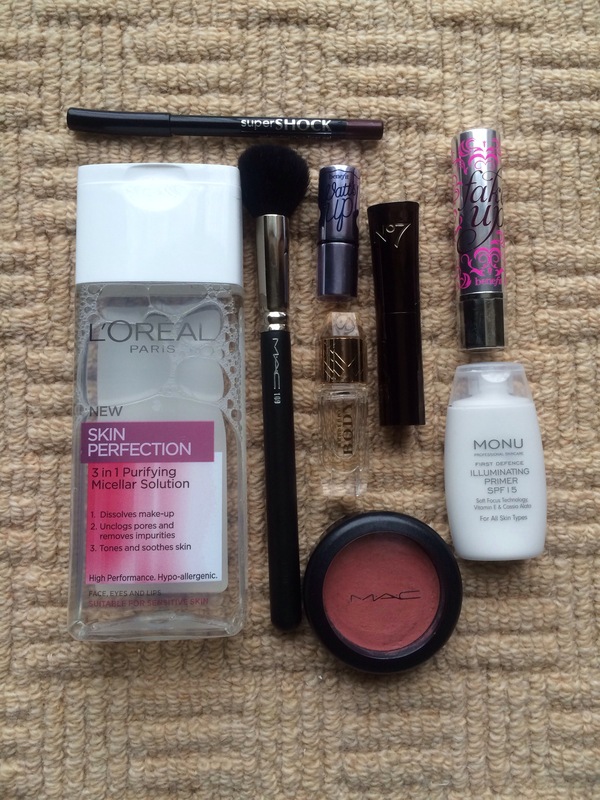 Have a look at some of my favourites from the month of October.. Very autumn/fall inspired! When I bought this cleanser, I wasn’t expecting high praises for it, but I’m amazed at how well it removes makeup. It’s effortless and is so simple. It really does feel like water and leaves no residue on your skin at all, making it feel as soft as the day your mother birthed you! Definitely worth it! When autumn/ fall comes around, I love changing up my scents a bit. Every season, I like to have a set of new scents that I try to use up (mainly because I have so much perfume). But last month, Burberry Body had me going crazy! 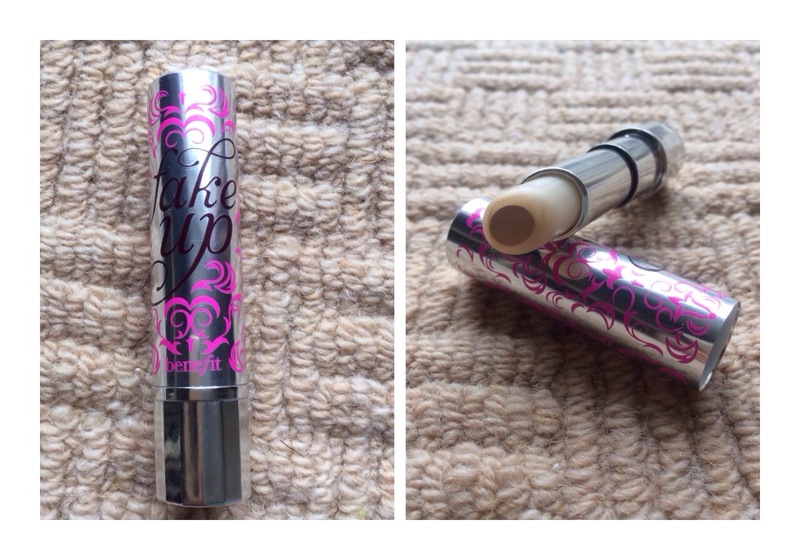 I got this sample in a GlossyBox and I fell in love with it but I forgot I had it! I’ve now ordered a full size and I’m so excited for it to arrive so I can actually spray it rather than spill it on myself! It’s a lovely day and evening scent and is really musky and deep.. Not fruity in the slightest! It’ll be one of the most sophisticated scents in your collection! I received this in this months GlossyBox and although I’ve only used it for 1 week, I’m in awe! 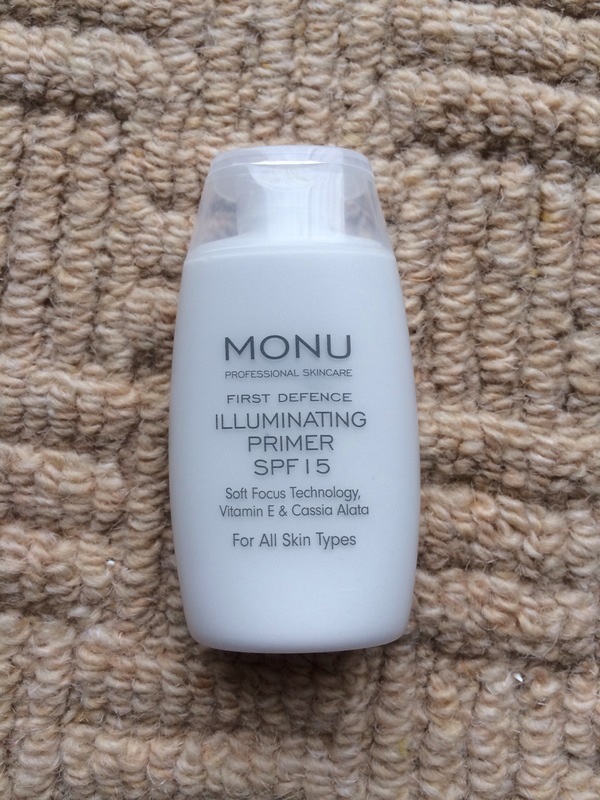 This is a primer which holds makeup in place and makes your face look brighter and glowing! Check, check, check for all the benefits they claim this cream to have! It’s amazing! It’s light to put on top of moisturiser and it adds a really subtle glitter to your face, which is actually so flattering! I love using this whilst the heating has been on because my skin can look quite dry however, not with this baby on my skin.. It makes your skin look more radiant than ever! When I bought this brush, I was expecting big things because of the hype about it and I’m not surprised! 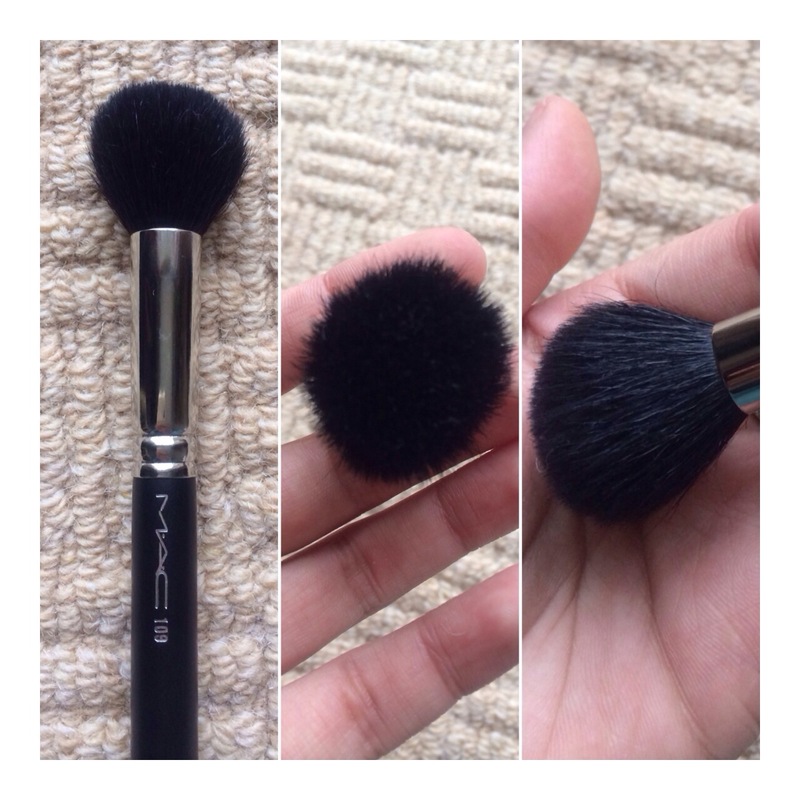 I have loved using this brush for so many things: blusher, bronzer, contour and powder! It’s the perfect size because it’s not too big and the shape means it fits in the crevices of your face really easily. It’s not the softest brush by any means, but it grabs and dispenses powder really well all over the skin! 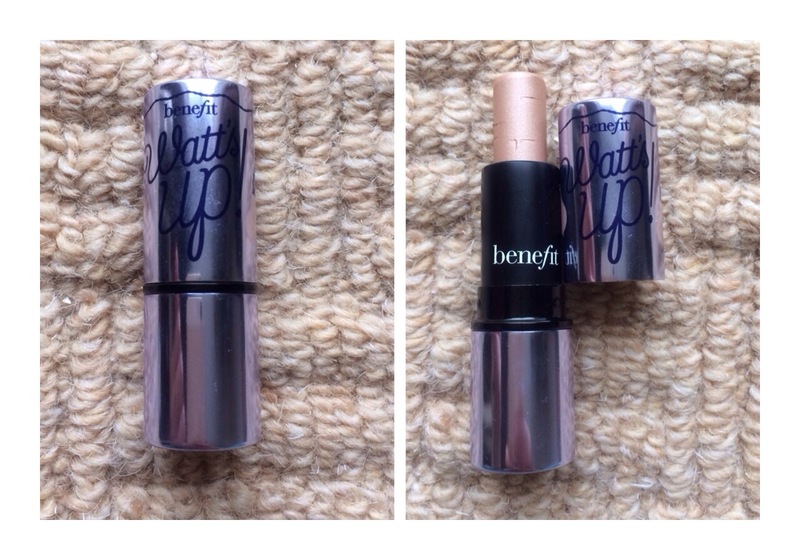 And here we are again with yet another staple product from Benefit Cosmetics! They are doing really well with me lately! I bought this around 6 months ago and initially disliked t! It claims to be hydrating and creaseless and it really is hydrating! 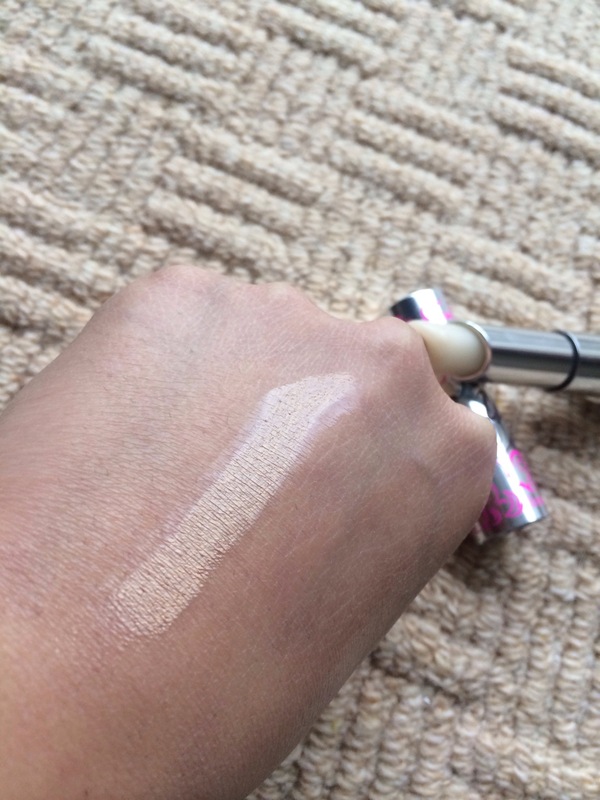 You can tell from the swatch how moisturising and creamy it is! Creaseless: no! May be my eye creases are a little too deep to handle for this little wand of magic. I don’t mind at all though! During the colder months, I’ve loved applying this to brighten and hydrate my under eye area! It has medium coverage. It’s difficult to get used to at first but it’s SOOOOO good once you get the hang of it.. LOVE! And next up, this amazing lipstick! When autumn/fall comes around, I have to have a lip colour a little darker but I can’t rock mega dark lips, mainly because I’m a wimp! 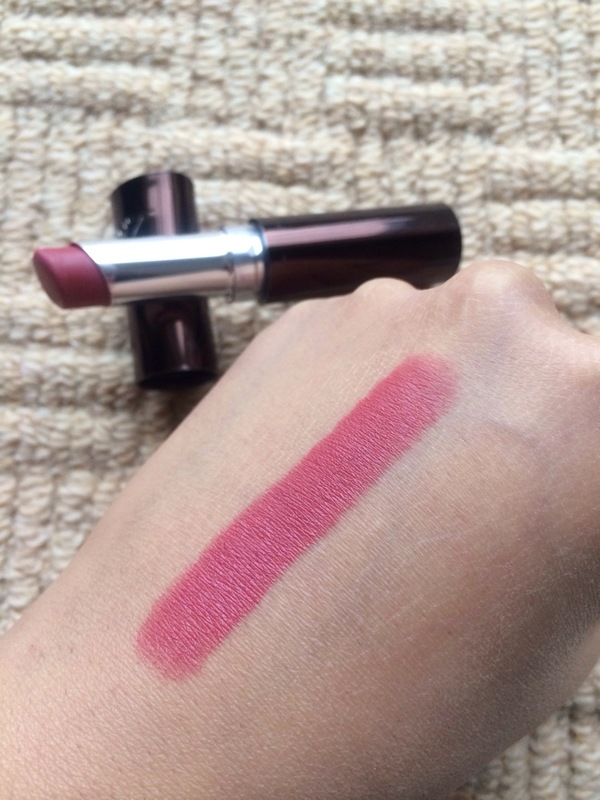 I like wearing rose colours because I feel they suit my skin tone! 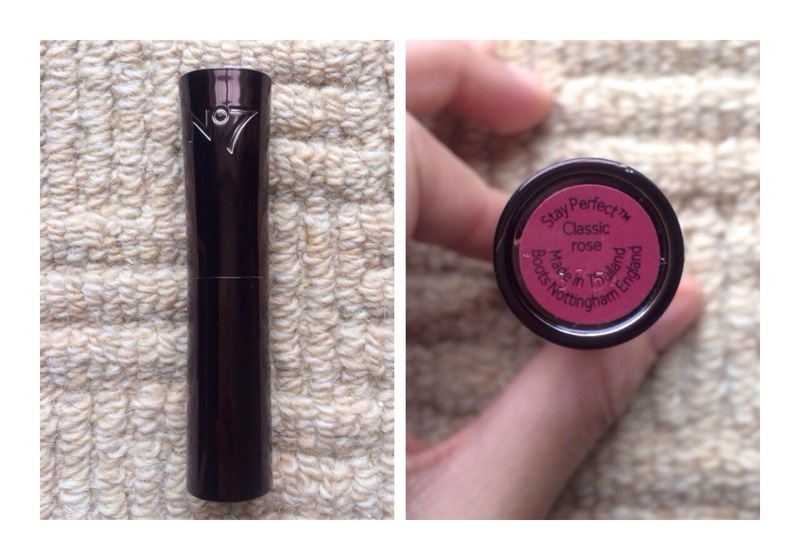 I actually got this lipstick free after buying a few things from No.7 (comes in a set with a lip brush, gloss and lipstick). I love how velvety it feels and it’s super pigmented! 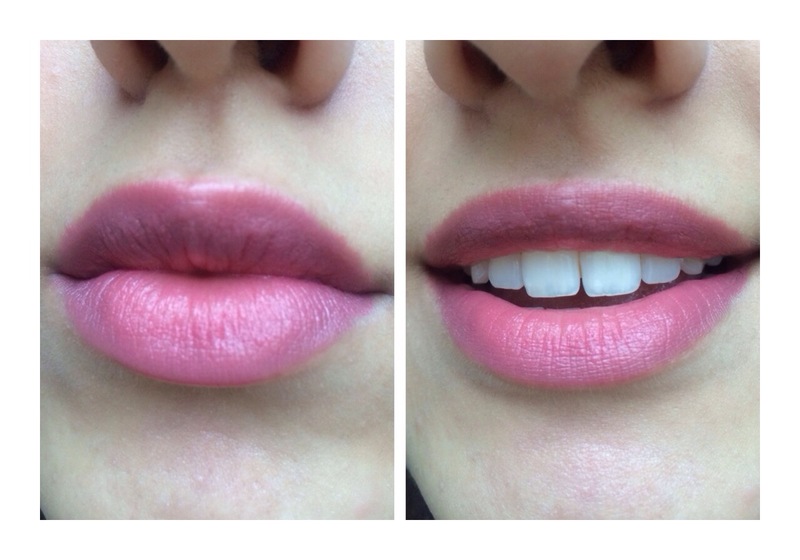 It’s completely matte in colour and lasts ages! 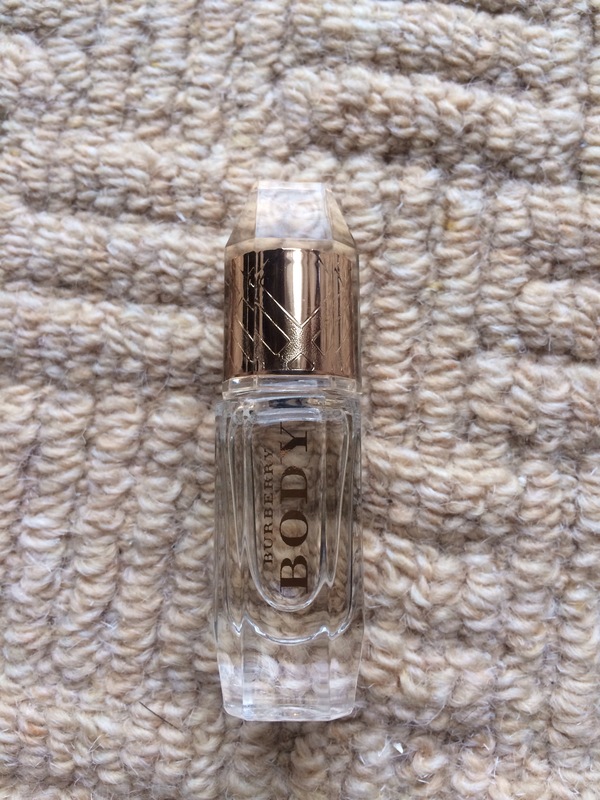 Wears off beautifully and is as cheap as chips if you want to buy it.. Staple for the colder months for sure! When autumn comes, my cheeks go super dry and applying powder seems like the worst thing in the world, so cream blush is a saviour! 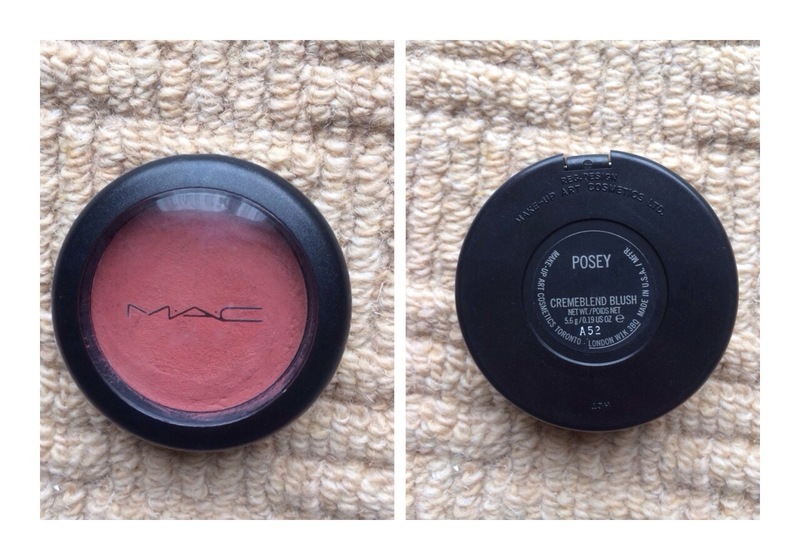 I mentioned this blush in a blog last year and I still love it as much as I did then! It’s a gorgeous orange- toned brown colour that works superb on that pale cold skin we all get in autumn/ winter! 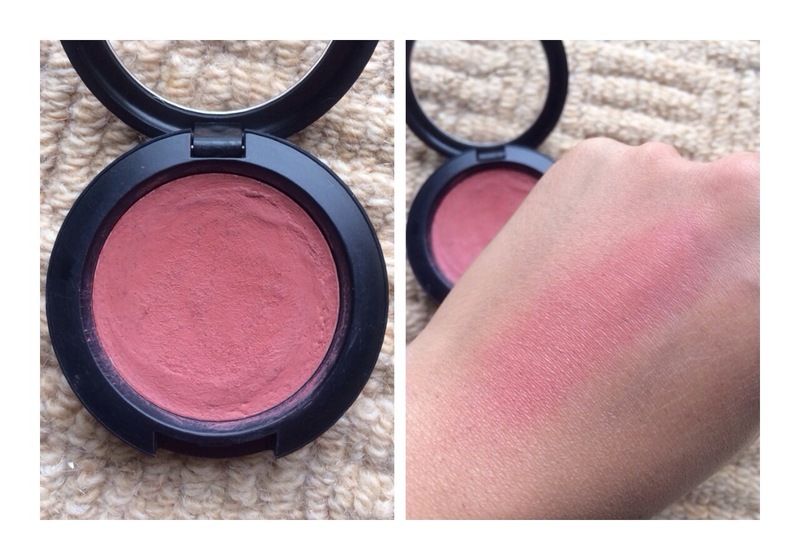 It isn’t too creamy and stays on my skin for longer than any other cream blush, plus, it’s super pigmented so I’ve been loving using this! Like I mentioned before, the colder months dry out and my skin and leave it feeling really horrible and dry in areas. So I tend to break out the highlighter more so during wintertime! 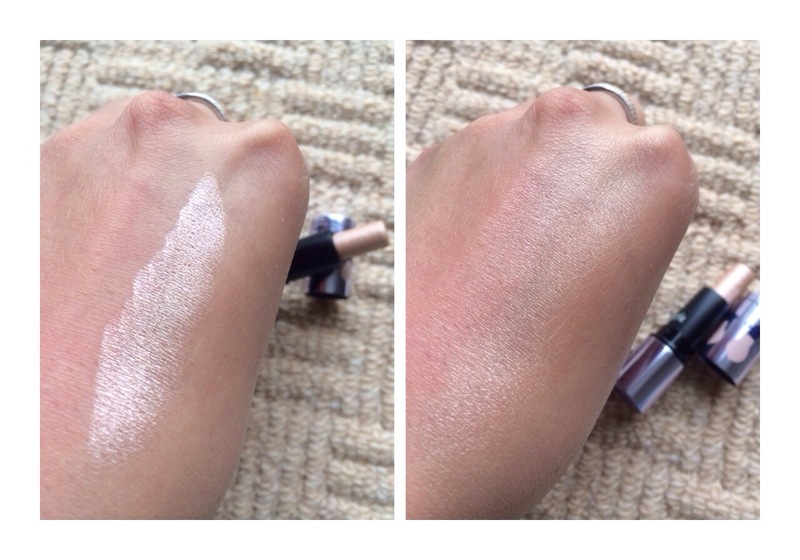 I received a sample of this highlighter and ignore it for a while until I tried it a few months ago and was blown away! It’s almost the exact same shade as my skin (may be a little more pink) and has a beautiful shimmer! It really does look wet! You can see from the swatch how it applies before and after blending! It’s not a gold nor silver shimmer so will suit almost every skin tone! Perfect for winter! I like the look of Watts Up, might have to go on my Christmas wishlist! It’s sooooo nice! I can tell that it would look really nice on your skin tone too!